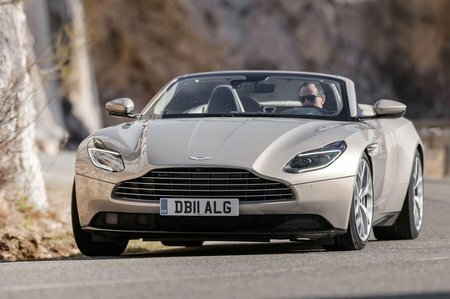 Aston Martin DB11 Volante Performance, Engine, Ride, Handling | What Car? There’s a rule of thumb that says, dynamically, convertibles sit in the shadow of the coupés on which they’re based. The reason? Simple: chopping off the roof weakens the chassis, so bracing is required to stiffen it again, thus adding weight. And weight is bad; it blunts the performance, ride and handling. Sure enough, the Volante is 110kg heavier than the DB11 coupé and still not as rigid. Yet it hides these flaws well. For a start, performance remains stupendous. That wonderful Mercedes-AMG-sourced, twin-turbo 4.0-litre V8 (unlike the DB11 coupé, you can’t buy a V12 Volante) responds with barely any lag and pulls like whipped Shire horse from low revs. Yet it still gallops enthusiastically round to its redline when asked and sounds simply amazing as it does so. Think Rod Stewart with laryngitis – deep and gravely, but still properly tuneful. Although the ride is firmer than a Mercedes S-Class Cabriolet’s, it’s still compliant, in part thanks to the switchable dampers that come as standard. In Comfort mode, these ease you smoothly over all but the most rutted roads, but occasionally there’s some slight shimmy through the less ridged body that isn’t in the stiffer coupé. With the extra weight, the Volante also can’t match the agility of the coupé, but it’s not far off. And it’s certainly a far more rewarding steer than the much heavier S-Class Cabriolet. In fact, switch the dampers to Sport (or stiffest Sport+) and it flows along a carving mountain pass displaying consummate composure while serving up lots of cornering grip. 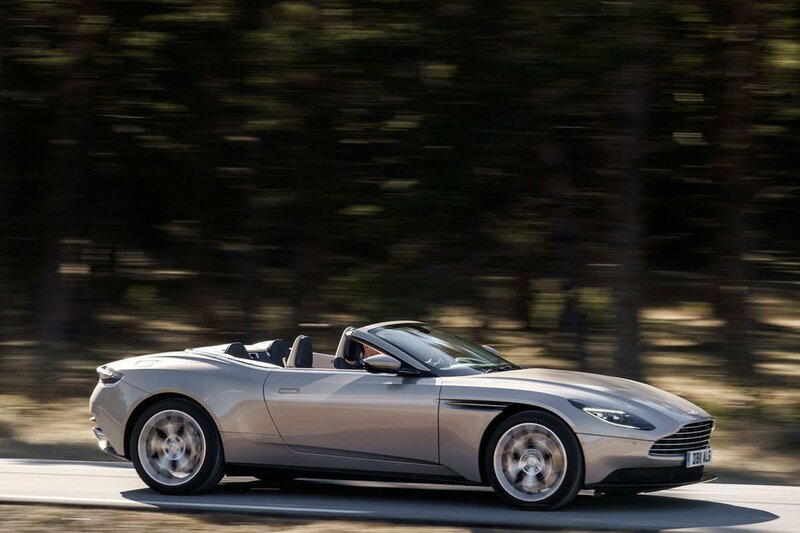 Just be careful on the accelerator as you power out of bends – treat it like an on-off switch and the rear-wheel-drive DB11 Volante will get twitchy very quickly. It demands respect, shall we say. Where do its faults lie? Well, the eight-speed automatic gearbox is pretty smooth when left to its own devices, but can be slow-witted when the steering wheel-mounted paddles are used to change gear manually; this is a foible rather than an annoyance, though. The grabby brakes are more irksome – they make it hard to slow smoothly in traffic, but they do offer better progression when stopping from higher speeds. 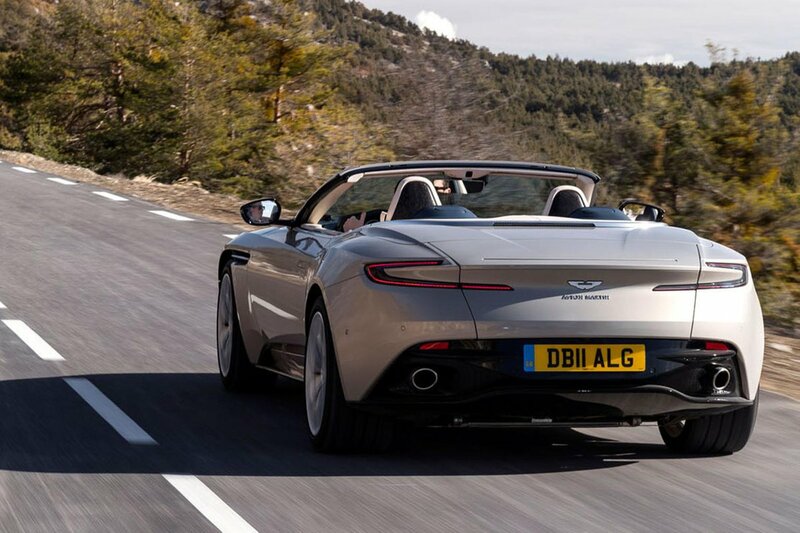 An S-Class convertible is quieter on the motorway, because with the roof up you hear plenty of rumble from the DB11 Volante’s big 20in alloy wheels, plus some wind noise around the side windows. Drop the roof, though – an operation that’s carried out in near-silence in just 14 seconds, at speeds of up to 31mph – and it’s pleasantly bluster-free with the windows up and the wind deflector in place.